The Darcys have arrived at Rosings and all is well. Or not well, as it turns out. Time for Charlotte to leave the parsonage and deal with the trials and tribulations of Hunsford once more. 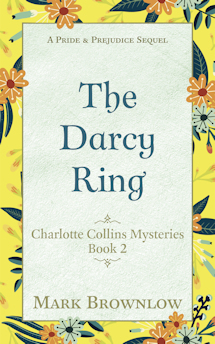 In The Darcy Ring (available now at Amazon for Kindle or Kindle Unlimited), our favourite rector’s wife is forced to deal with a theft, a questionable guest, a new arrival in the village, and a frustrated Colonel Fitzwilliam. Of course, Charlotte has to do all this while managing the foibles of her inimitable husband and the imperious Lady Catherine. Fortunately, her old friend is there to provide relief. But has Elizabeth Bennet changed now that she’s Mrs Darcy? Possibly…that’s all I’m saying. Immerse yourself in the life of characters old and new at Hunsford and Rosings. 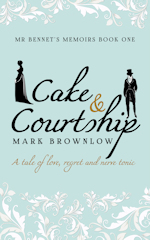 At around 100 pages, it’s intended for an afternoon read with a cup of tea (not included), chocolate (not included), and Austenesque mystery (included).